This is the second volume to appear in the new and already successful AIJA Law Library series. 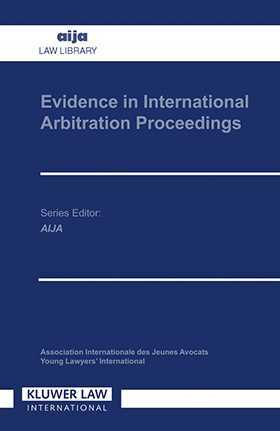 This volume has been prepared by members of the AIJA Standing Commission on International Arbitration under the editorship of Peter Eijsvoogel. It is intended to be a reference work for practitioners in the field of international arbitration, both counsellors and arbitrators. Twenty national reports from major jurisdictions outline the general character of the legal system in respect of ADR procedures, sources of procedural rules for arbitration, law and practice on documentary evidence and submissions, testimonial evidence and the involvement of experts. In addition, the book contains a detailed analysis of the legal rules pertaining to the taking of evidence in both civil and common law systems, and highly practical contributions relating to deposition skills.